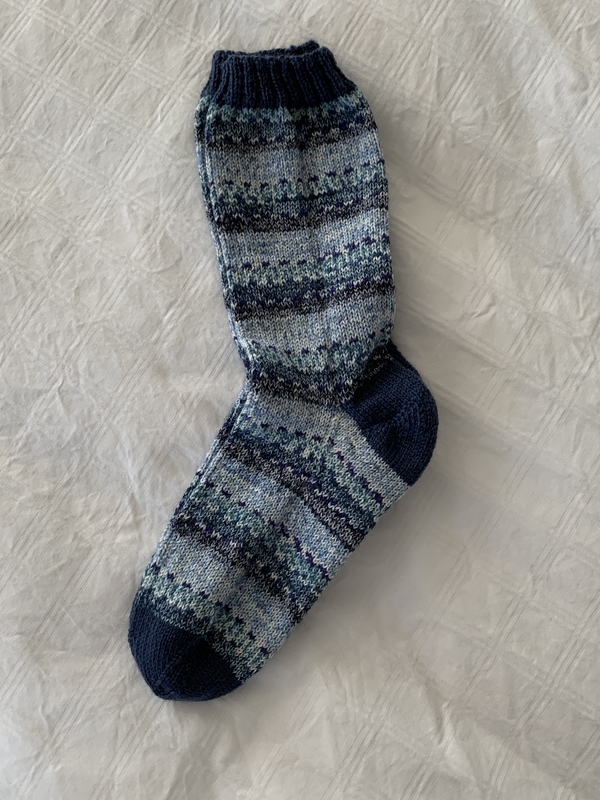 These socks seemed to go faster than the previous two pairs made from leftovers – mainly because I was knitting sections of the variegated pattern then switching yarn. I wasn’t having to continually swap yarn after knitting just two needles to keep the spiral going. 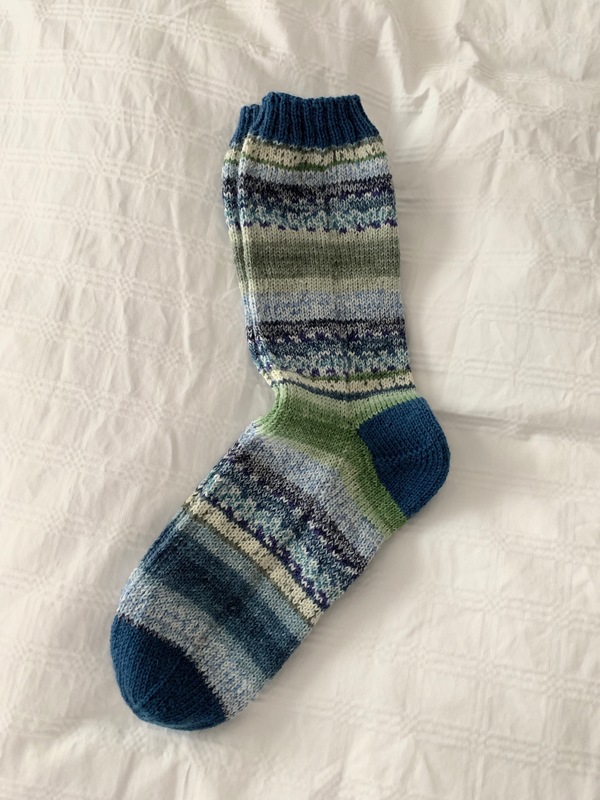 I’m sure my sense that the knitting went faster was an illusion but it was more satisfying to knit them this way. 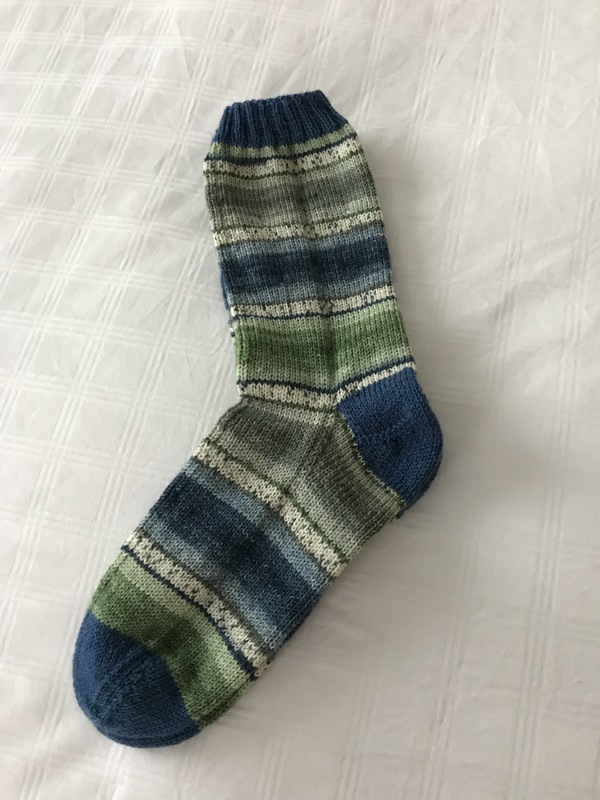 And I like the resulting blended pattern more than I do the “striped” version that results from combining two different yarns.